We endeavour to ensure that only accurate and up to date information is placed online. In the event that incorrect information is included in the Glitter Girl Online Shop, we will place a correction on the Glitter Girl Online Shop content area. 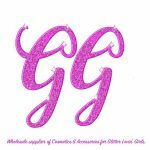 Glitter Girl aims to include the complete range of products publicised through the Australian Stamp Bulletin in the Glitter Girl Online Shop. The materials displayed on this website, including all editorial materials, information, photographs, illustration, artwork and other graphic materials, and names, logos and trademarks, are the property of Glitter Girl and are protected by copyright, trademark and other intellectual property laws. Any such content may be displayed and printed solely for your personal and non-commercial use. You agree not to reproduce, retransmit, distribute, disseminate, sell, publish, broadcast or circulate any such material to any third party without the prior written consent of Glitter Girl. Glitter Girl does not grant any licence or right in, or assign all or part of, its intellectual property rights in the content or applications incorporated into the website or in the user interface of the website. Glitter Girl reserves the right to reject an order if, in its opinion (acting reasonably), the order is unacceptable. Glitter Girl, its contractors, agents, or employees disclaim liability for any damages whatsoever (including special, indirect or consequential) arising out of or in connection with the use or performance of the website whether in contract, at common law or in equity, or on any other basis, except to the extent that the damage is directly caused by fraud or wilful misconduct by Glitter Girl. At the time that you place your order and are asked to supply personal information you enter a secure environment. From that time, the link between your Web browser and the Glitter Girl Online Shop will be protected using a security certificate. This will be indicated by the appearance of a padlock on your browser. You should note that credit card numbers will not be stored on the web site and will never be made publicly available. All information concerning your order is encrypted and can only be viewed by members of the Glitter Girl Online Shop team with authorised access to that information. As noted your credit card details are not visible to the members of the Glitter Girl Online Shop team. All products with a limited sales period which are displayed in the Glitter Girl Online Shop will have the withdrawal date clearly shown. However, where a product which does not have a specified sales period becomes unavailable due to unexpected or high demand, and that item is ordered by you before Glitter Girl has withdrawn that item from the Glitter Girl Online Shop, Glitter Girl will not be held responsible for inability to complete that order. In this instance, you will be advised ASAP by email or telephone. Glitter Girl will endeavour to dispatch all orders within 1-2 working days of receiving the order and endeavour to deliver all orders within 3-7 business days from receipt of order. In the event that you supply incorrect payment or delivery details, Glitter Girl will take all reasonable steps to contact you using the personal details that you have provided. In the event that your supplied contact details are incorrect, however, Glitter Girl will not be held responsible for not fulfilling your order, nor for being unable to advise you that this is the case. To ask for an exchange, repair or refund, you’ll need to prove that you purchased the product via the Glitter Girl Online Shop. If you can’t provide an order confirmation, another form of proof of purchase will be required. The provisions of this clause 11 do not derogate from any rights you may have under law, including the Australian Consumer Law. We do not offer change of mind refunds and returns on the below products as they cannot be resold. There is no minimum value for Glitter Girl Online Shop orders. The maximum order value is AUD $1,000. All prices are inclusive of Australian Goods and Services Tax (GST) where applicable. Glitter Girl will issue a compliant tax invoice where appropriate. The Glitter Girl Website may contain links to other websites operated, controlled or produced by third parties. Unless otherwise indicated, Glitter Girl does not control, endorse, sponsor or approve any such third party websites or their content nor does Glitter Girl provide any warranty or take any responsibility whatsoever for any aspect of those websites or their content. If you wish to establish a Link to Glitter Girl Website, you must first seek approval from Glitter Girl. To seek approval, please contact your account manager. If you don’t have one or are unsure, please email Glitter Girl. If Glitter Girl agrees to your proposed link, you must comply with any terms and conditions imposed by Glitter Girl as a condition of such agreement. If the nature and/or content of your website changes in any significant way, you must contact Glitter Girl and provide a new description of your website. Please take notice of any expiry date applicable to the card. Gift cards are not normally redeemable for cash. Trademarks on any cards shown are the property of the owners, used with their permission.